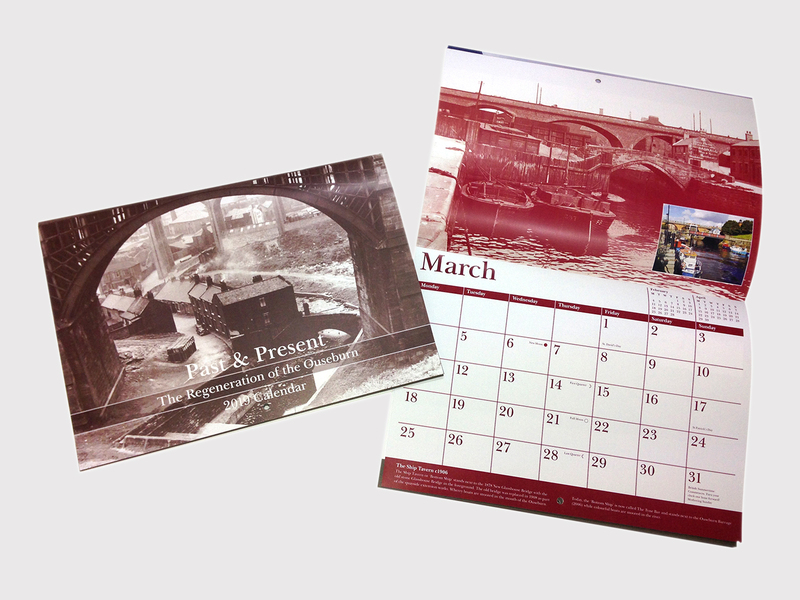 A 28 page A3 full colour calendar featuring old and new photographs of the Ouseburn Valley. Written and researched by Sue Bright. Design by Colin Hagan at Northern Design.